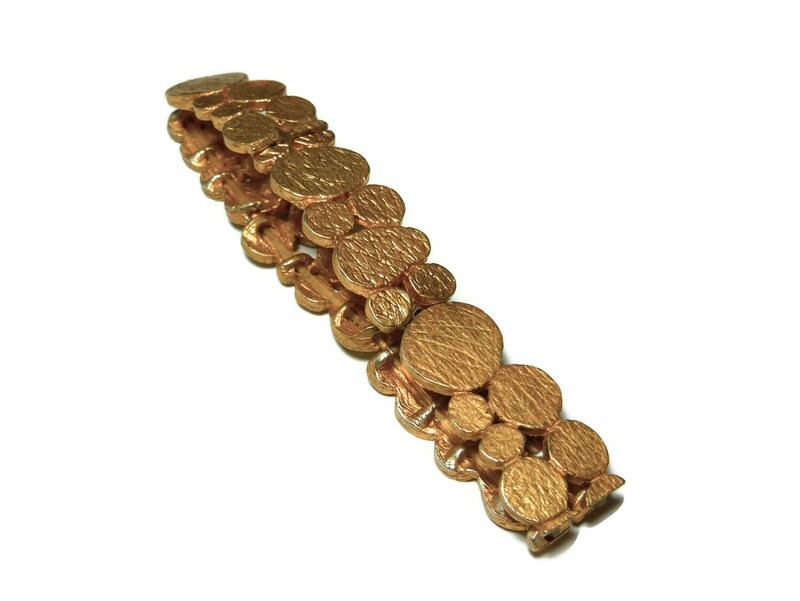 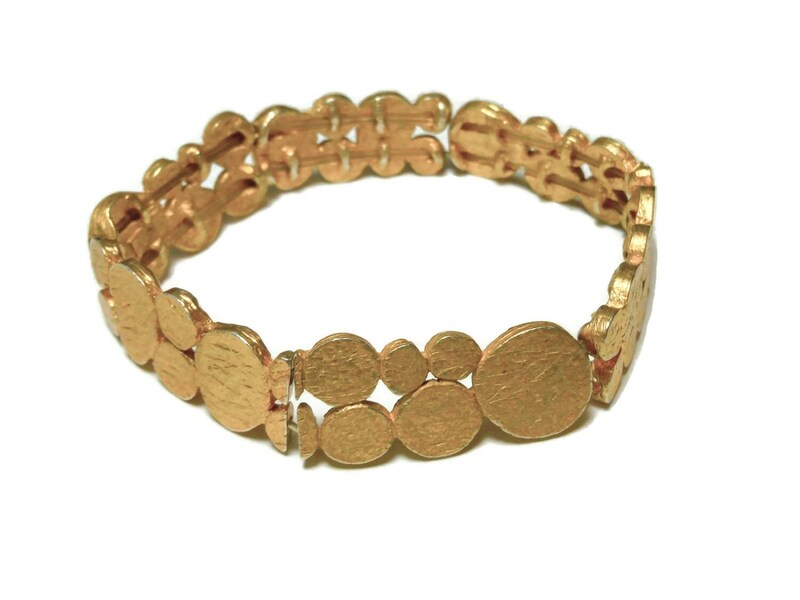 Chico's stretch bracelet, gold circles and ovals, link stretch bracelet, coin bracelet, gold nuggets. 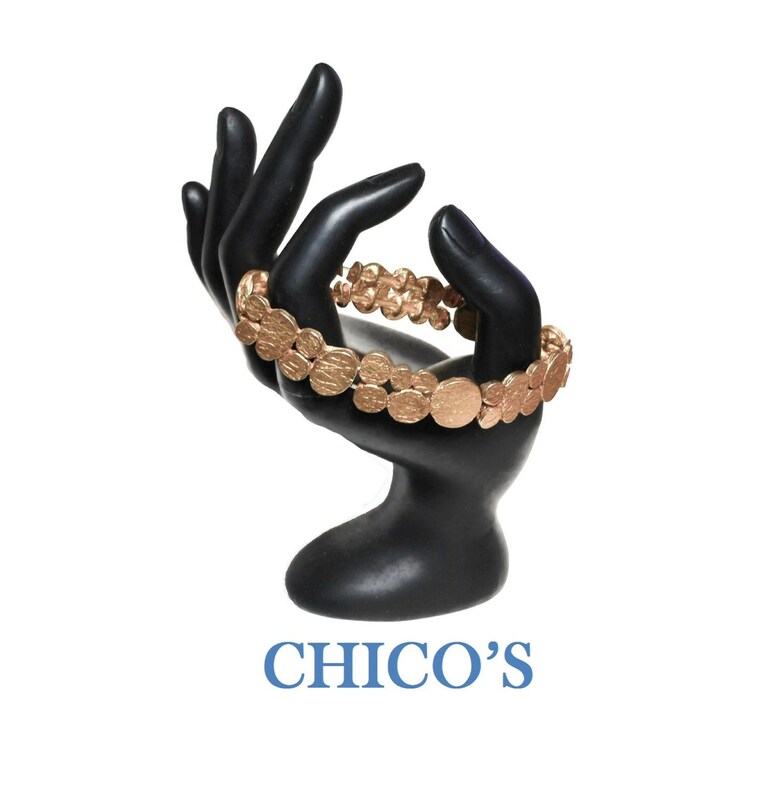 Chico's has it's original roots selling Mexican folk art and cotton sweaters on Sanibel Island in Florida. 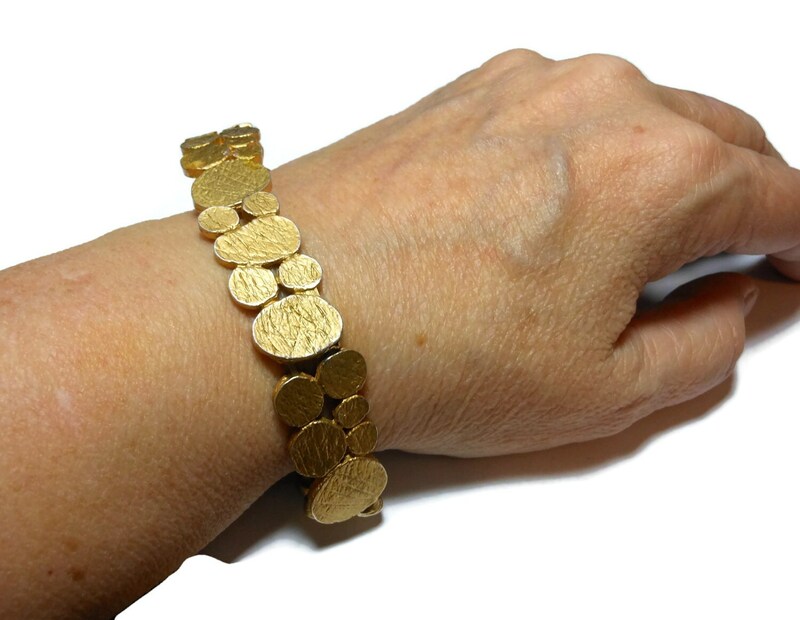 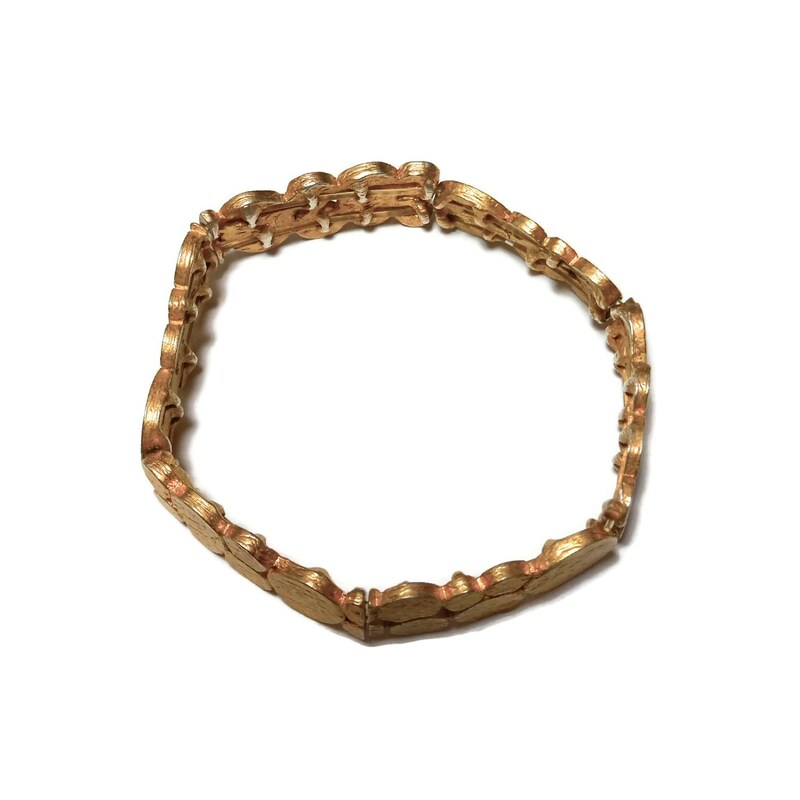 The bracelet measures 8 1/2" (21.6 cm) unstretched, there is rubbing to the edges where the plating has been rubbed off.